Size: 4.1" x 7" x 1.3"
Nothing else than a Maths marvel trimmed to Italian language. A slightly simpler model was sold in Germany with the Mathe-Fix. 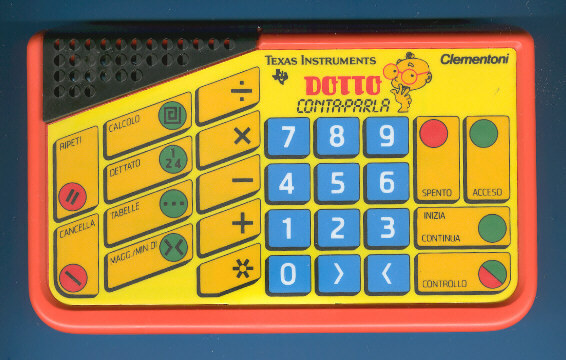 The Dotto Conta-Parla was distributed in the 80s like some other Texas Instruments products by Clementoni. © Joerg Woerner, March 15, 2004. No reprints without written permission.